New mortgage registrations for investors have continued to slide over the past year, according to the latest Property Institute/Valocity Regional Insights Report. 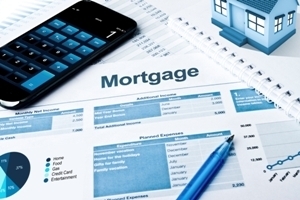 The report shows that the number of new mortgage registrations for investors was down by 2.5% annually. They now make up 16.9% of the market (as at December 2018). That is as compared to 17.7% at the same time in December 2017 and 18.4% when the series first started in January 2017. In contrast, first home buyers are the most active, with new mortgage registrations up 4.5% year on year. They now comprise 28.4% of the market. The report also shows that more people have been taking advantage of the low interest rates, with refinancers up 16%, now 23.6% of mortgage registrations. However, while new mortgage registrations for investors may have fallen, buyer break down in the market is not so simple. CoreLogic’s senior property economist Kelvin Davidson says the February update to their Buyer Classification series shows that over the past year mortgaged multiple property owners (or investors) have slowly returned to the market - despite the extra rules. But while investors just edge out first home buyers for the national share of property purchases, first home buyers are actually the biggest buyer group in most of the main centres, he says. “Even though first home buyers have now dipped back into third place, the bigger picture is that their market share is at an 11 year high. Meanwhile, the Property Institute/Valocity Regional Insights Report also shows the national median sale price has remained very stable over the past year, and is currently sitting at $535,000. While over half of New Zealand’s housing stock is currently valued at more than $600,000, sales volumes remain down when compared to the same period last year. Of the main centres, the report has Wellington and Dunedin as the strongest performers. Wellington had an annual change of 9.2% in the median sale price, which left it at $638,750, while Dunedin saw median sale price annual growth of 10.4%, which left it at $415,000. But the report states that Dunedin’s affordability continues to appeal to first home buyers and investors, with new mortgage registration up over 12% for both buyer types. In contrast, Auckland continues to experience soft market conditions, with the median sale price down by 4.6% annually, which left it at $830,000. Which is exactly what the powers-that-be are trying to achieve.